In your travels, you may encounter NPCs who are looking for a particular type of pet. 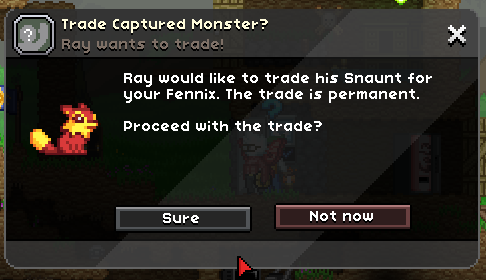 They’ll even trade you the pet they’ve already got! The ethics of this are somewhat questionable. ← 10th March – Is this the rail life?